I’ve made it my mission to do as much as I can with Microsoft Teams. Whether I’m collaborating with colleagues or business planning with my partners, I’m putting Microsoft Teams at the heart of my productivity world. In this post, I’ll show you five things you need to do with Microsoft Teams if you’re not already! Give your Team an identity by setting a “profile photo”. The default is to use the first letter from the first two words in the team name, and that’s not very inspiring. It says “I don’t really care about this”. Pick a picture to represent your team and members will feel like it’s worth investing time in. It also helps your Team stand out. In my day job, I’m working with three of Microsoft’s partners. I collaborate with my colleagues internally and externally through Teams. The logo for each Team is the logo for the partner - it helps me easily distinguish between them, and makes it look professional. Think the Team Channels are just for chat? Think again! There are loads of additional tabs you can add to make your Channel even more useful to members. My personal favourites are Polly (great for creating polls quickly), and Excel because I work for Microsoft and I can’t resist a spreadsheet. Maybe you use Power BI to track the sales performance of your team? Add it as a tab! Or perhaps you have a OneNote notebook to track meeting minutes and actions? Add it as a tab! I meet weekly with my virtual team and we track the agenda, minutes and action points of every meeting in a OneNote notebook that’s added as a tab to our Channel. It’s simple for anyone who wants to add something to discuss at the next meeting just to click on the tab and contribute. They can easily sync the OneNote with their desktop app if they need to access it outside Teams. Not everyone who will be using Teams will be experienced in using similar tools. One of the great things about Teams is the ability to have persistent, threaded, conversations. Rather than lots of people typing over each other, it’s possible to reply directly to someone’s previous post. This means you keep the context of the conversation, and all the replies are easily found in one place. Of course, sometimes people aren’t aware of this and just create new threads each and every time they post. @ mentioning specific users in a thread to alert them to your contribution. Insert emoji and GIFs to help illustrate your point. Click on the first "A" icon to expand the editor to allow you to format your message, easily edit over multiple lines, etc. I was so excited when the ability to add external guests to a Team was added to Microsoft Teams! Now I’m able to use all the features I use with my internal colleagues with my partners (who are all external to Microsoft). I have a singular view of all the documents we’re sharing, ideas we’re working on, metrics we’re tracking, calls we’re having, all from within Teams. I know that the information is safe, that each user has to be authenticated to access the content, and that they can’t pry into areas they don’t have access. I used to really struggle to find an easy way to share files between organisations in a way that was transparent to everyone in the team. Now, we can work together on a slide deck or a spreadsheet without needing to leave the context of the other work we’re doing or the conversation we’re having. No more having to attach files the old-fashioned way! I used to use one device as my “daily driver”. I’d take it everywhere with me and I felt like a limb had been cut off if I had to use a different device, with different apps or specs. Happily, that’s not been the case for a while now. My “main” device is a Surface Book but on a given day I’ll use a Surface Book, MacBook Pro, iPhone 7 Plus and an iPad Mini. Having my data and apps accessible everywhere has become very important to me; both personally and professionally. 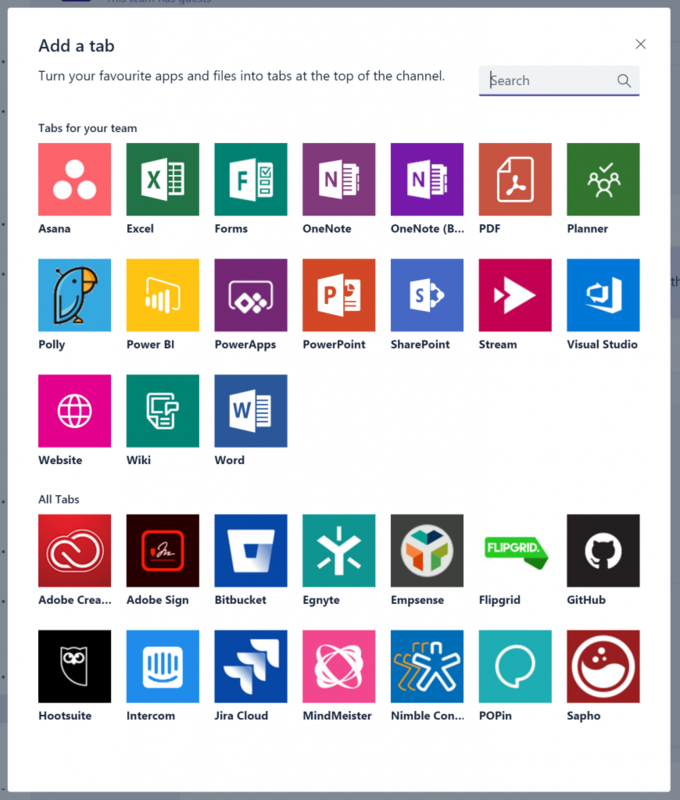 Microsoft Teams is available on all of the devices I use and even if it weren’t, there’s a powerful web app. In fact, its the web version that underpins all the apps. As Skype for Business makes its transition to Microsoft Teams, ensuring I have the app everywhere will be crucial to making sure that I can be productive wherever I am, on whatever device is in my hand at the time. I’ve used a lot of tools to help me be more productive over the years. Few have stuck with me, and fewer still have transformed the way I work. Clearly, I’m biased to an extent - I work for Microsoft after all - but that doesn’t mean I love every product or use every service fully. Like anyone, I have preferences, workflows, favourite features or interfaces that dictate what I use. I’m excited that Microsoft Teams is rapidly carving out a place alongside Outlook on my task bar. What top tips do you have for Microsoft Teams? Let me know in the comments! Microsoft just published a public roadmap for the next few months. Take a look if you’re interested in learning about what features and functionality are scheduled to appear.